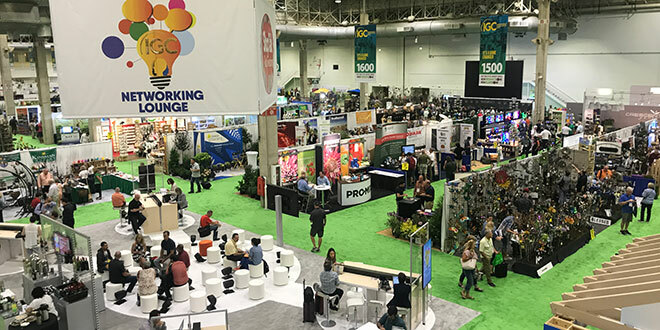 The North American Retail Hardware Association (NRHA) is excited to announce it will be hosting two major events in conjunction with the Independent Garden Center Show (IGC) and the Independent Home Improvement Show being held August 13-15 in Chicago. The 2019 NRHA STIHL Foundations of Leadership Conference and the 2019 State of Independents Midyear Review will both take place during the first two days of IGC. Just a few weeks ago, the National Hardware Show® announced it would also be co-locating its new Independent Home Improvement Show at IGC. 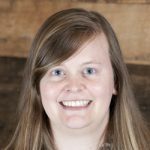 “Our organization is dedicated to helping independent home improvement retailers run better operations, so when we had the opportunity to align two of our major events alongside these shows that are specifically designed for independent retailers, it made perfect sense to us,” says Bob Cutter, NRHA president and CEO. The NRHA STIHL Foundations of Leadership Conference is designed to expose graduates of NRHA’s Retail Leadership Institute to workshops and presentations that center on the principles of effective leadership. Also open to graduates’ mentors and sponsors, the dynamic event creates firsthand connections between retailers, course instructors and channel supporters. The 2019 State of Independents Midyear Review is an extension of NRHA’s popular State of Independents Conference, which is sponsored by the National Hardware Show and takes place every December. “We thought it would be beneficial to hold a conference midyear to provide an update on how independent retailers are faring, address topics of concern to independent home improvement retailers and share best practices with attendees,” says Dan Tratensek, NRHA’s executive vice president. All three events are completely free for retailers to attend and expand their network while discovering some of the latest outdoor living products. For more information, stay tuned to Hardware Retailing and NRHA.org. Founded in 1900 by a group of retailers, the North American Retail Hardware Association (NRHA) is a not­-for-­profit trade association whose mission is to help hardware stores, home center and lumberyards in the U.S. and Canada, regardless of wholesaler affiliation, become better and more profitable retailers. Governed by a board of independent hardware retailers, NRHA fulfills its mission by providing information, communication, training programs and networking opportunities for the industry it serves. Each month NRHA publishes Hardware Retailing magazine, which reaches over 35,000 readers in the U.S. and Canada. Click here for more information. IGC, The Independent Garden Center Show, is the world’s largest trade show for independent garden center owners, managers and buyers. It presents an expansive and carefully selected showcase of garden center products available at wholesale from around the world. In addition to the trade show, IGC offers the industry’s most comprehensive educational program, with indie garden center-focused seminars, workshops, tours and keynotes led by the brightest minds in business. Learn more here. The National Hardware Show® celebrates a rich history spanning nearly 75 years of serving the home improvement marketplace. Today, NHS is the place for global manufacturers, associations, organizations and the media to get an unfiltered view of the industry, hands-on experiences and access to the latest innovations and retail trends to enhance their business. For more information, click here.